Strong Effect – It gives out stronger effect than the relative cubensis. 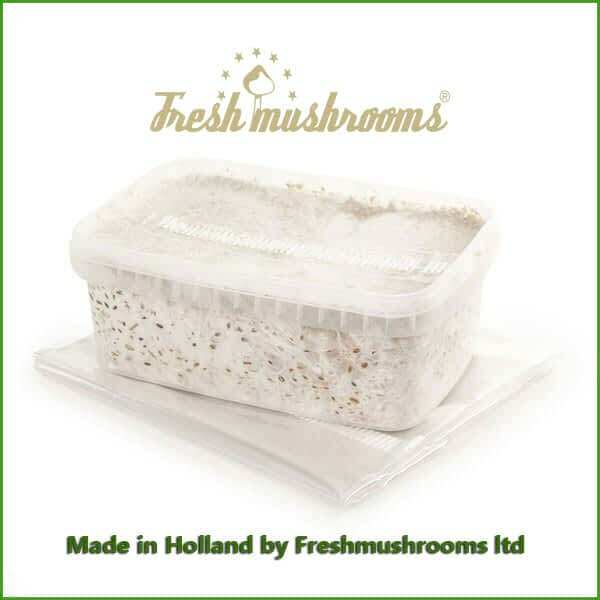 High Yield – This mushroom is known for its high yield. The first two flushes are large producing up to 300 grams under perfect conditions. The first flush comes faster. First results can be expected after only a few days until a week. The substrate is 100% colonized by mycelium. The Psilocybe Cubensis McKennaii is a relatively new strain of cubensis named after a famous American philosopher, psychonaut, researcher, lecturer and writer by name Terence McKenna. The McKennaii is becoming very popular and is one of the most powerful species. It has higher active substance than the usual grow kit and ideal for psychonauts who are seeking for stronger visual effect and to exploring the altered state of consciousness. So, if you would like to experience a strong visual and intense philosophical trip, the McKennaii will be your best bet. 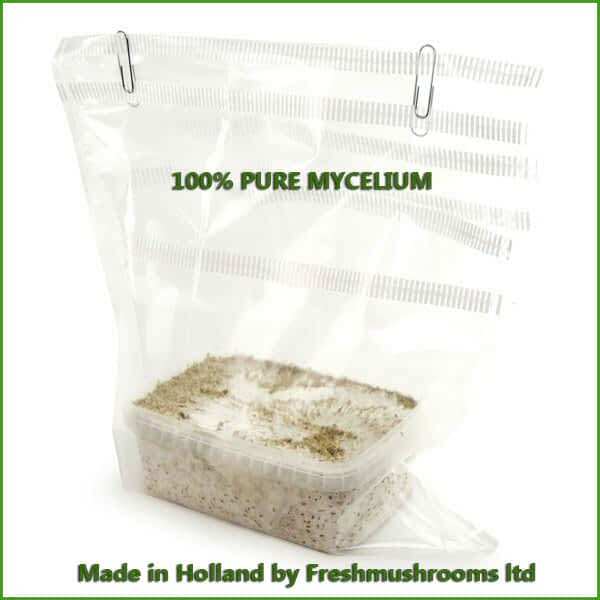 Magic mushroom grow kits from us contain no bulking agents - the content is a 1200ml cake of 100% colonized substrate. Except if you did not adhere to best practices, you will see at least 4 flushes, amounting to up to 600g of fresh mushrooms. Others have even reported yields of around 800g! Note: we ship all our grow kits without the grow instructions and other marks. 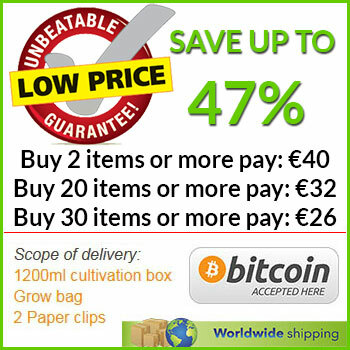 You will need to visit our site for the grow instructions at the bottom of our website. I got 2 Large 300g plus flushes, wet. I contaminated it so didn't get 3. These were very easy to grow & the rides were very visual. I am ordering more but will dry them this time.Enjoy growing them. They are mature in about 12 days. My first grow I grew about 380 gs wet. Second flush was another 300 and the 120gs on the third. When it comes to eating them I loved them. Ive eaten multiple 5g dry and has very "spiritual" experiences. To be honest I would say since I've started growing and eating them inhabe changed my attitude and ultimately changed my life for the better. Eat 5g dry on an empty stomach and the strap in on and organize your life. Have fun! Quickly growing to my surprise. I had 2 harvests of about 400 grams wet together. Harvested in time and better a bit to early to keep the mycelium free of spores. I´ll try a third flush this week. Ate about 3-4 grams dry and gave me a true experience. 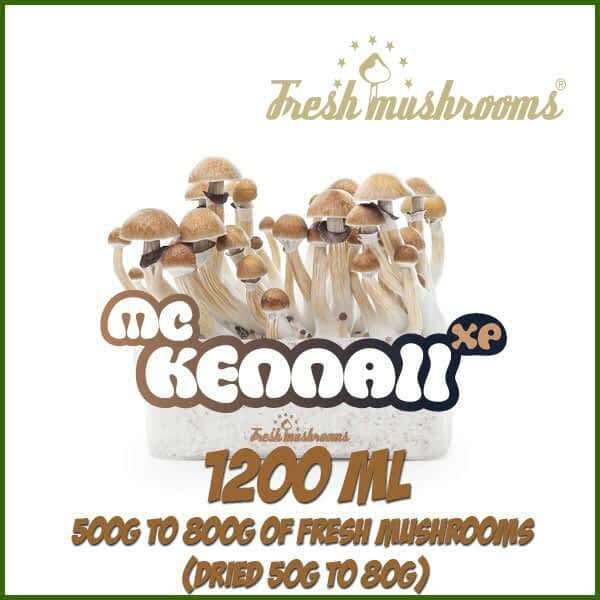 Share your experience about McKennaii 1200ml Grow Kit Freshmushrooms with other customers. Submit your tips or thought on this product, be detailed and specific.